This book is just fun. It is full of monologues/dialogues, all based on everyday life in Medieval times, every one written by the talented hand of Laura Amy Schlitz. There are parts from Nelly the sniggler, Constance, a pilgrim, and even Giles the beggar. And, believe me, there are tons more.This helps children gain insight into what life was like all those centuries ago. Who knows, maybe your ancestor was a tanner, or a glassblower? These witty bits of literature are a great way to get children interested in history, and how people lived before them. Some rhyme, some don’t. Some are for two actors, some are for one. You can read them just to yourself, or get a friend and take turns acting out the various parts. What makes them even more fun (and this is just something cool I noticed) is that they’re all related. Occasionally, a story will be told from two points of view, or you just might learn more about one character while reading about another. It’s just a fun book that’s meant to be…well, fun. I’m confident kids will enjoy it, and it’s not just kids that like books or history. It gives children with a dramatic flair a chance to enjoy themselves as well. I definitely suggest you at least take a look. See you! P. S. Guess what? Girl Knows Books is approaching it’s 100th post! Yes, that’s right! The countdown starts today. June 13, 2011: 9 posts to go! I still read this book, which I got in 2007. It’s fanciful, magical, and just entertaining. 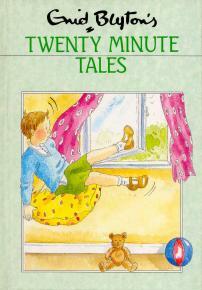 Enid Blyton has been called the Queen of Story Tellers, as I’m told, and she deserves the title. From Feefo the Pixie Dog to The Tale of Sammy Skittle to The Enchanted Cushion, every story is sure to please. Kids will laugh at the ridiculous Hoodle Bird that must have some gooseberry jam, and marvel at the horrible Mr. Slick. Filled with tales of pixie’s and magic, blue cats and candy, this is a good book for whoever is a fairy tale fan. I’m sure it would be a great hit being read to your children at night. They’ll go to sleep with pleasant thoughts in their minds, if you read to the happy endings. Enid Blyton had very good imagination, and an eye for good language. 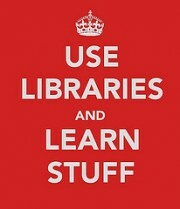 if you go to the library or bookstore right now, you won’t be sorry.